You helped Fr Nektariy before. Please help him again! We've received bad news from Mexico City. According to Fr Nektariy Haji-Petropoulos - abbot of the Holy Trinity Monastery in Mexico City - the monastery may need to close its doors before Western Christmas. But then our donors came in! You helped the skete to survive. You paid the medical bills, helped pay off their car, and the monastery bakery. Thanks to the generosity of people like you, the skete has since grown into a monastery, that now has 4 monks, who evangelize the population, care for many people in moments of crisis, be it spiritually, financially, or legally. They might not know you by name, but the monastics are exceedingly grateful to all who supported them. Despite the many problems, the Orthodox mission is expanding. The fathers visit their several growing communities throughout the country and accept new members regularly. But today the financial situation has become much more serious. The brethren at Holy Trinity Monastery in Mexico City need your help today. 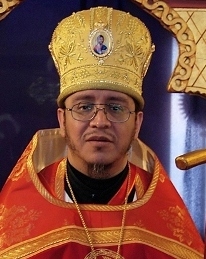 Fr Nektariy is on the brink of a physical collapse. His health is deteriorating and he is getting no rest. He barely sleeps 3 hours a night. At all other times he is working and travelling to and from his 2 full-time jobs, despite suffering debilitating pains all over his body. Fr Nektariy is slowly killing himself through his restless pastoral concerns. Because someone needs to pay the bills to keep the monastery’s doors open. Recently the monastery’s rent has been raised yet again. In a private conversation Fr Nektariy admitted that he doesn’t know how he will go on. And what will his parishioners do then? Please, I ask you in the Name of our Lord Jesus Christ: please help this man. If you don’t help today, the monastery will be forced to close its doors before Western Christmas! Eight years of hard toil on the vineyard of Christ in Mexico will be reduced to ashes. The brethren will move to a small apartment. There will be no room even for a small chapel. This will mean the closing of the only ROCOR church in Mexico. Your donation today will allow Fr Nektariy and the three monastics to keep the monastery open and make their spiritual gifts available to all who come to them. Your support, no matter the size, will let them know that you care. That they are not alone. That is so incredibly important! 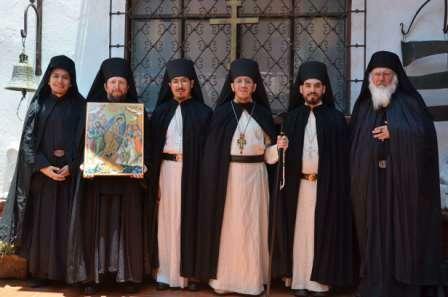 Fr Nektariy will commemorate all donors by name as benefactors of the monastery.